The thermoelectric plant of Scandale, which is managed by Ergosud, a joint venture of the EPH Group and A2A, is located in the area of the municipality of Scandale (KR) in S. Domenica in the Ionic side of the central-eastern part of Calabria. The plant, which has been in commercial operation since June 2010, is latest generation energy infrastructure which adopts highly efficient and environmentally friendly technology. It has total installed power of 814 MW and a net yield of around 56% and consists of two combined cycle CCGT units, which may also co-generate, each with nominal power of 407 MW. In each unit there is a gas turbine and a steam turbine with the related electricity generators. 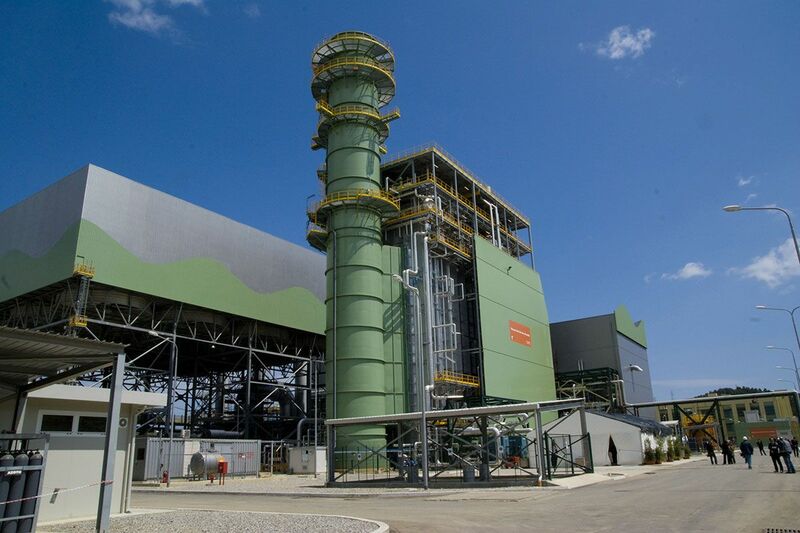 Through its own 6-km gas pipeline, the plant is powered from the national grid and connected to the adjacent high voltage Terna station with a buried electric cable of around 100 m. in length. The Scandale plant was conceived and designed to reduce as far as possible the impact on the environment, minimising the production of atmospheric emissions and waste products. The technical solutions adopted, which are among the most advanced in the world, enable emission limits which are among the lowest in the sector. In addition, the plant is equipped with a “zero discharge” system which enables the recovery of all the water coming from the waste water treatment system including part of the rainwater, minimising the environmental impact externally and limiting as far as possible the drawing of water from the local area. In close cooperation with ARPA Calabria, in order to monitor the quality of the air in the municipality of Scandale and in the neighbouring municipalities, the plant has installed a detection network consisting of three stations whose data is made publicly available in real time. » Download the "Environmental Statement of the Scandale plant"